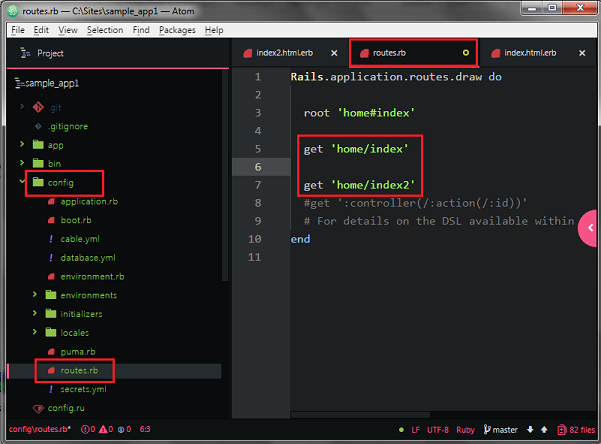 I assume you have already read my previous article on Generating Controller and Views In Ruby on Rails. 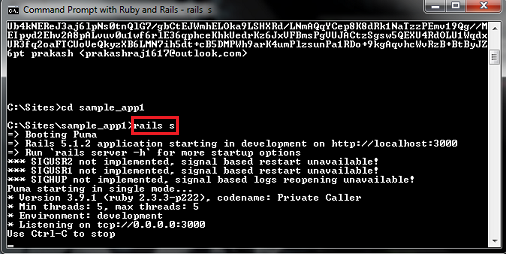 Now, you will learn template rendering and redirecting in Ruby on Rails. The template file is located in following directory in your application file in app >> Views >> home.It will using for add dynamic content in output page. 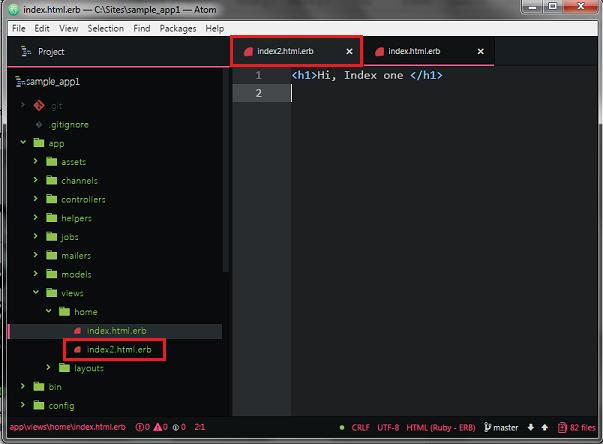 Now, we can see two different templates one index.html.erb. 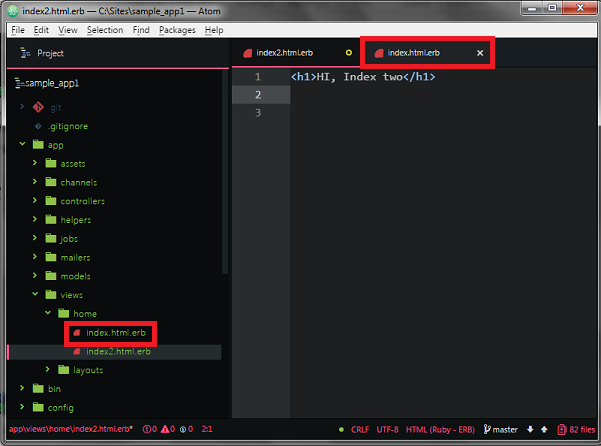 Now we can't access index2.html.erb file so add simple match route in route.rb file using following code. After add that code in route.rb file.now check the browser. Now ,open the browser and search localhost:3000/home/index. 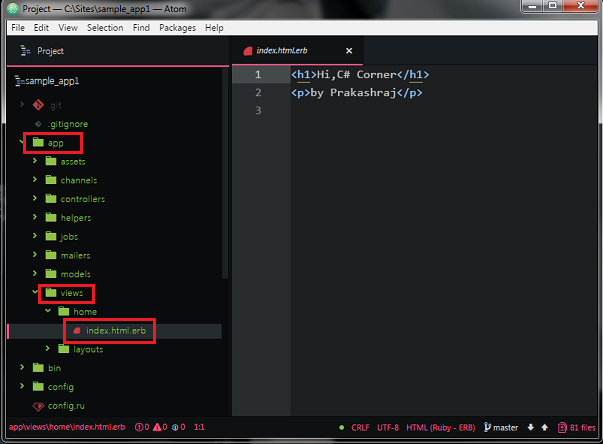 Now check second index file via browser localhost:3000/home/index2. 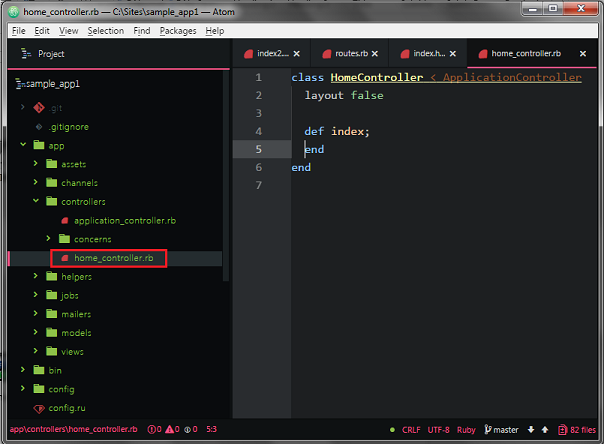 Now we open controller file in app directory>>controllers>>home_controller.rb. After open that controller file we can see the action code is focused on index only but it doesn't specify what template should be we used. Now, following code define index2 template using in application. The code is define action for each template to possible to make without returning an error. 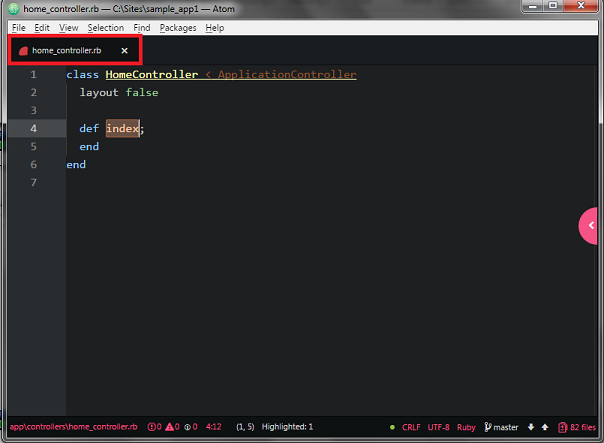 Now we see the common way to rendering template action to close default rails rendering action using render method. 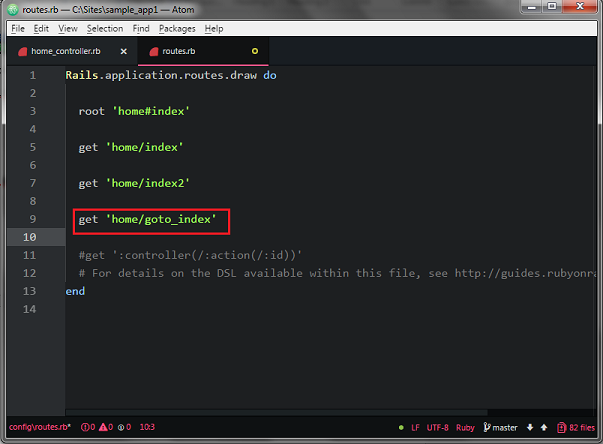 In this code render in to home directory, and template name is index2 this is longhand version. This is same process function to longhand version.to specify the template only use this code. 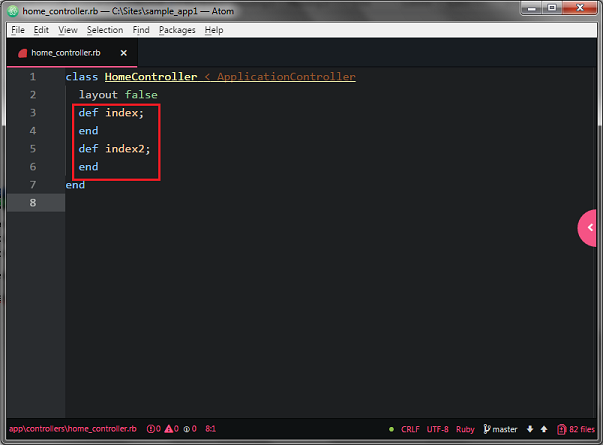 Now we implement in application going to controller file and add method using this code. above that code we specified action in each template. After the code is pasted in file, now check the browser localhost:3000/home/index.above the code we request “index” template but it renders action going to “index2” content in display because the code specified index template rendering into “index2” content in “index” template in browser via render method. Now check the second template in browser localhost:3000/home/index2. above the code we request “index2” template but it renders action going to “index” content in browser because we specified “index2” template rendering into “index” content in index2 template in browser via render method. where we use this template rendering in application? The template rendering using in login page, if user enter correct password going into the home else it automatically return into login page. 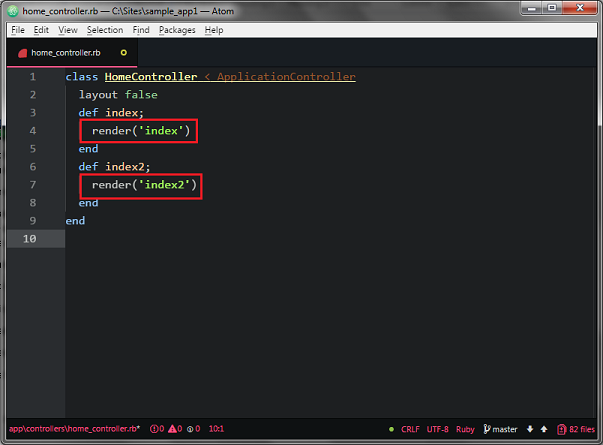 Controller's is respond to user requests by rendering into the browser. 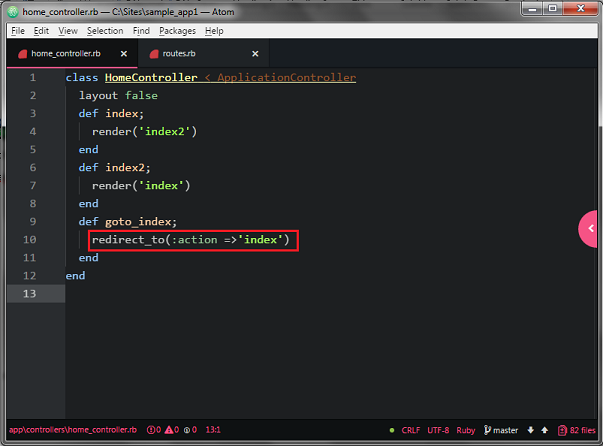 Now we add new action in controller in application using this code it will redirect into index.html.erb. 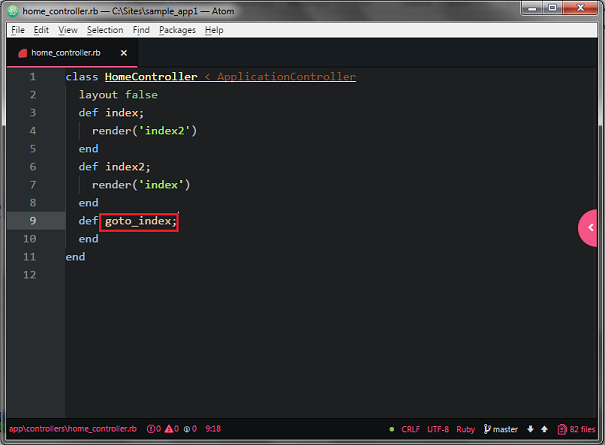 Above that code is added into controller file now it will redirect into goto_index. After the code is pasted in file now check the browser localhost:3000/home/goto_index it will automatically redirect into index.html page. because that is controller function. Above the result page we search localhost:3000/home/goto_index page.but that address is redirect into root page locahost:3000 this is redirecting.